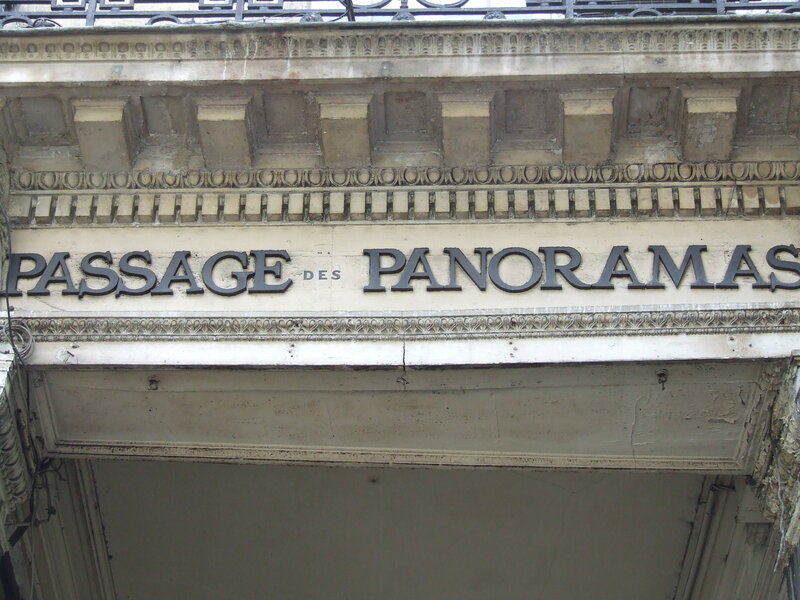 Each passage has its own character; some a bit shabby and run-down, others well-tended. 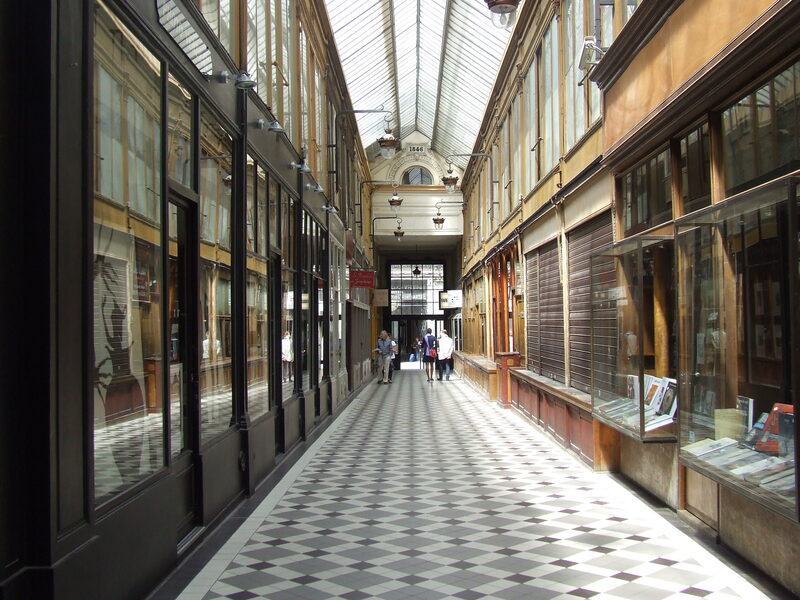 Here’s the Passage Verdeau, near rue Cadet in the 9th arrondissement, that was my starting point when I walked to work all those years ago. 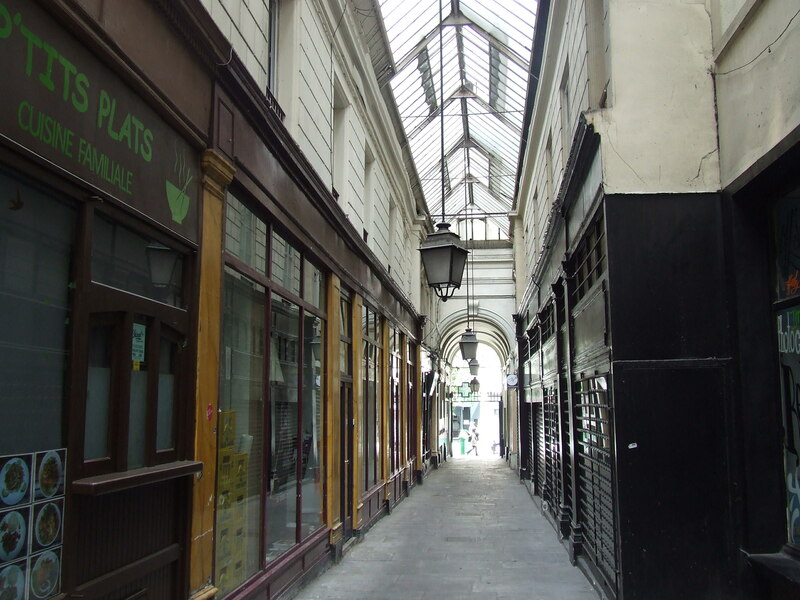 There used to be a restaurant-deli in the Passage Verdeau called Le Stube which sold divine German pastries (strudels, poppyseed cake, Sachertorte, etc. ), pastrami and Black Forest ham sandwiches on rye, hot dishes of sauerkraut, bratwurst, etc. 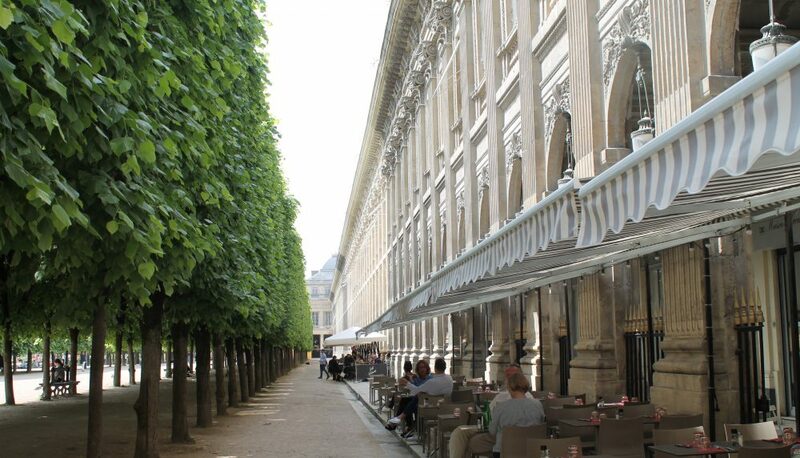 I once had a delicious potato and herring salad followed by warm cherry strudel and a double espresso there. They used to sell those irresistible Niederegger marzipan chocolate-covered loaves that I love. 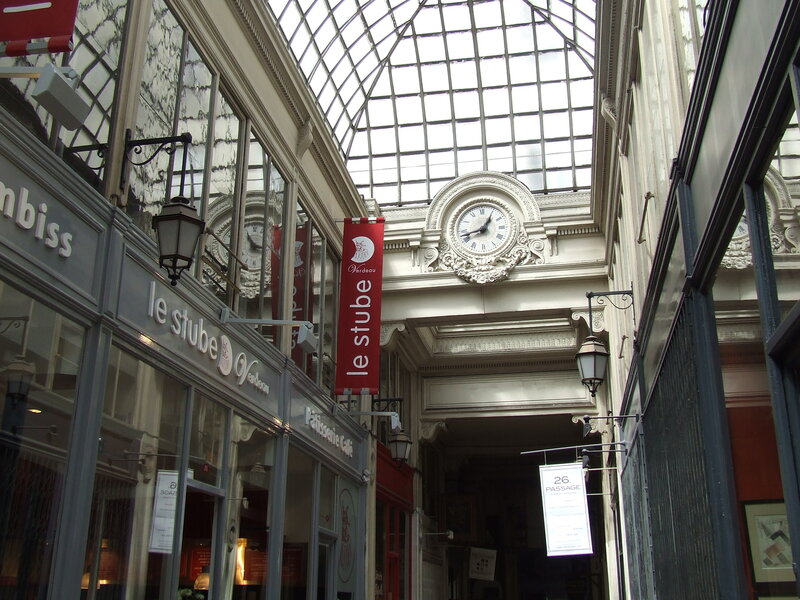 Sadly, Le Stube is no longer there. Here’s the next connecting passage. 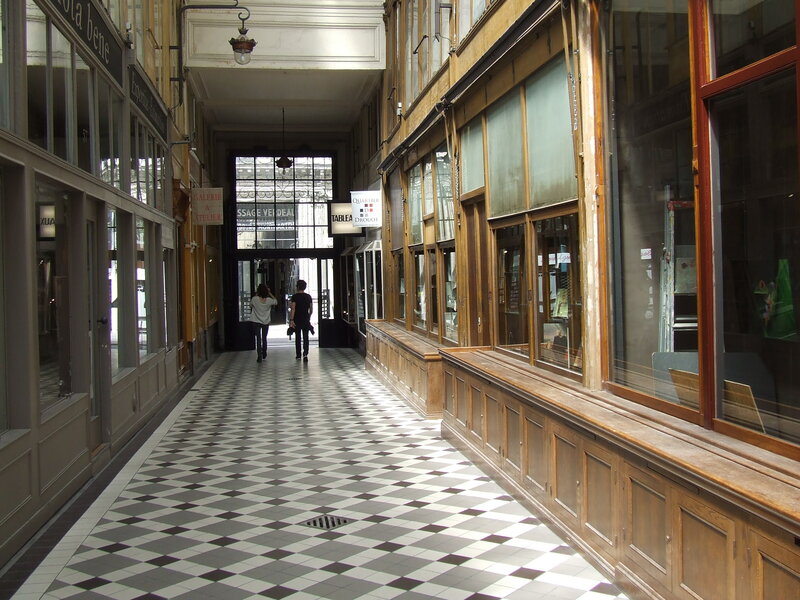 It’s Sunday, so this bookseller’s shop is closed. 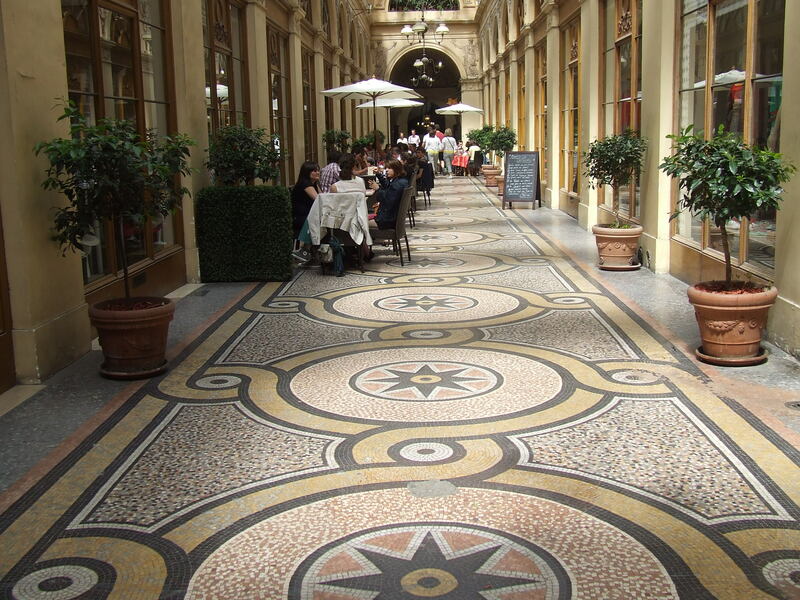 For several years, twice a day, I walked this route, dawdling in the shops on the way home, never tiring of its appeal. 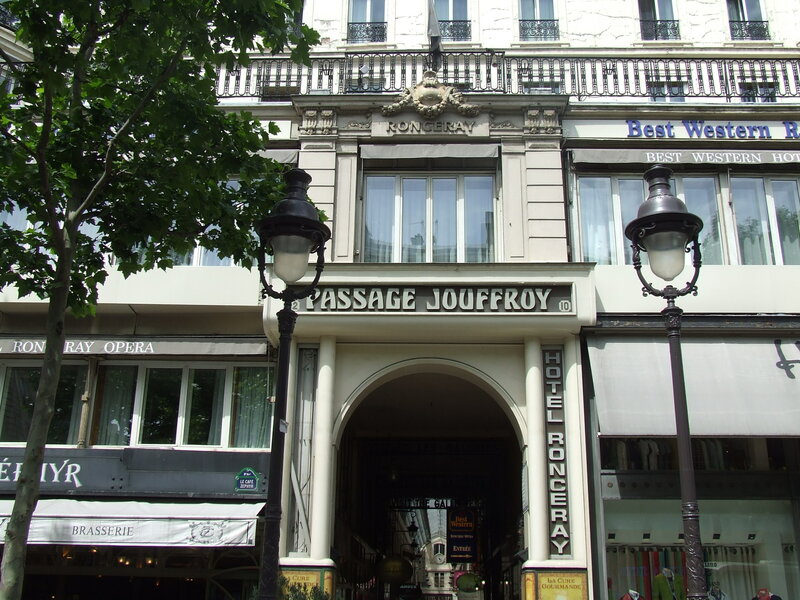 Exit the Passage Jouffroy, cross the boulevard Montmartre, and into the next stretch of passage. 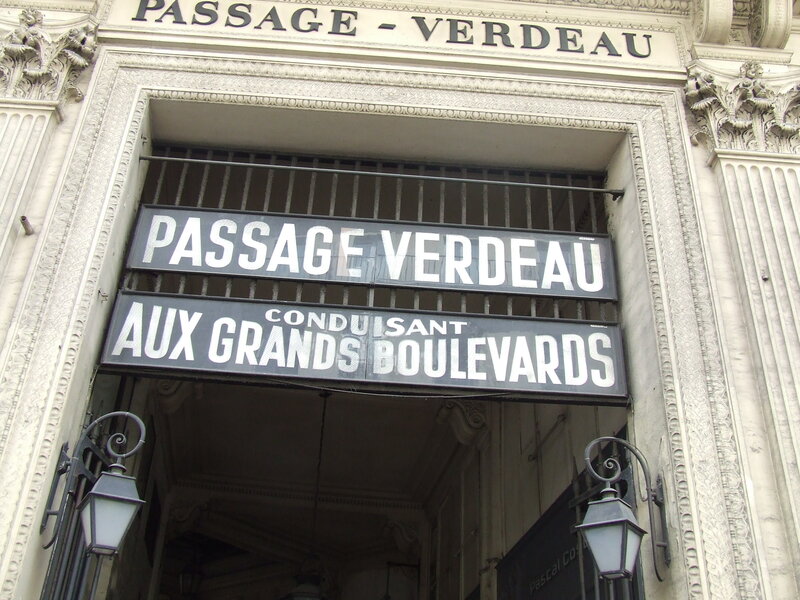 For anyone wanting to come here, the nearest metro station is Grands Boulevards. 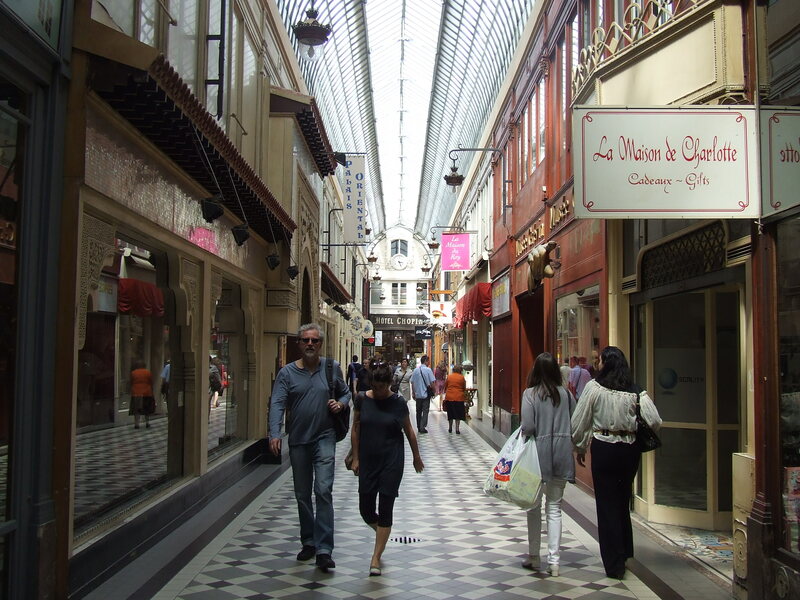 Further south, on the other side of the Bourse (the stock exchange) is another, independent passage called the Galerie Vivienne. 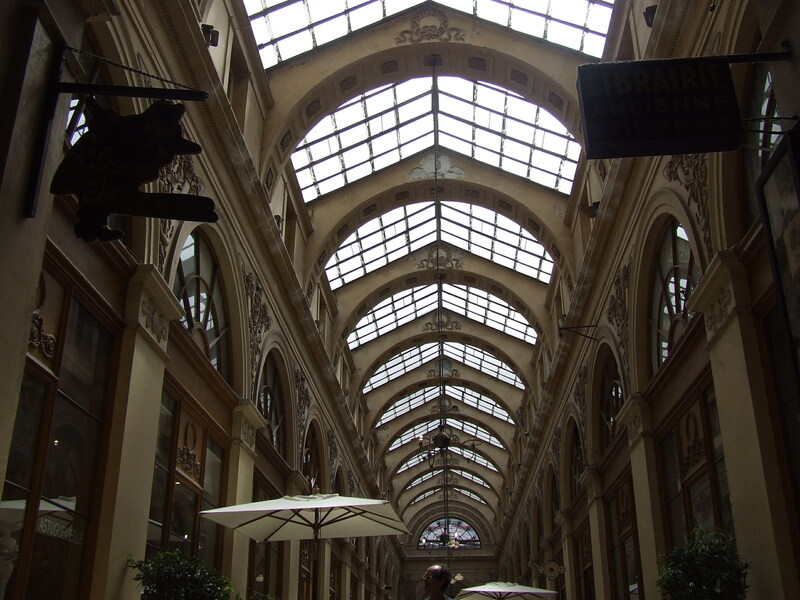 This is the most elegant and well-tended of the glass-roofed shopping arcades. At Christmas-time it’s all lit up with fairy lights. 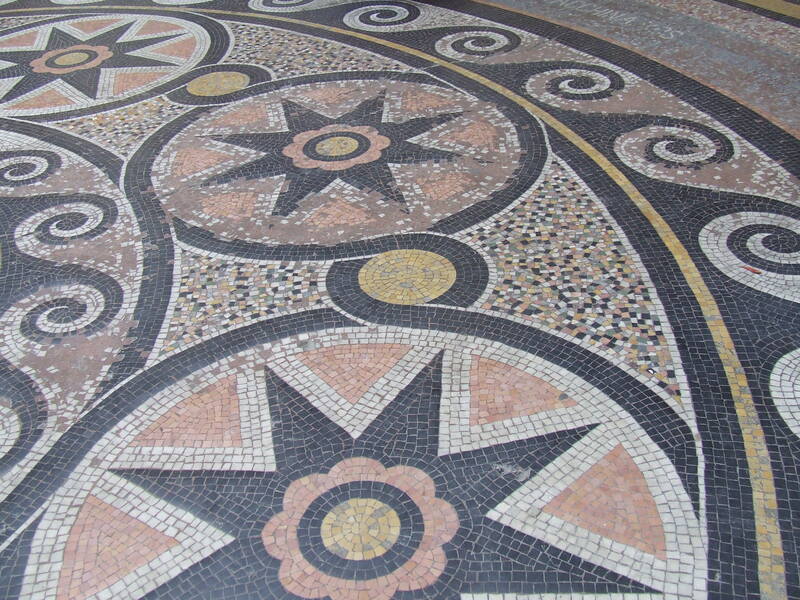 Notice the gorgeous mosaic tiled flooring. 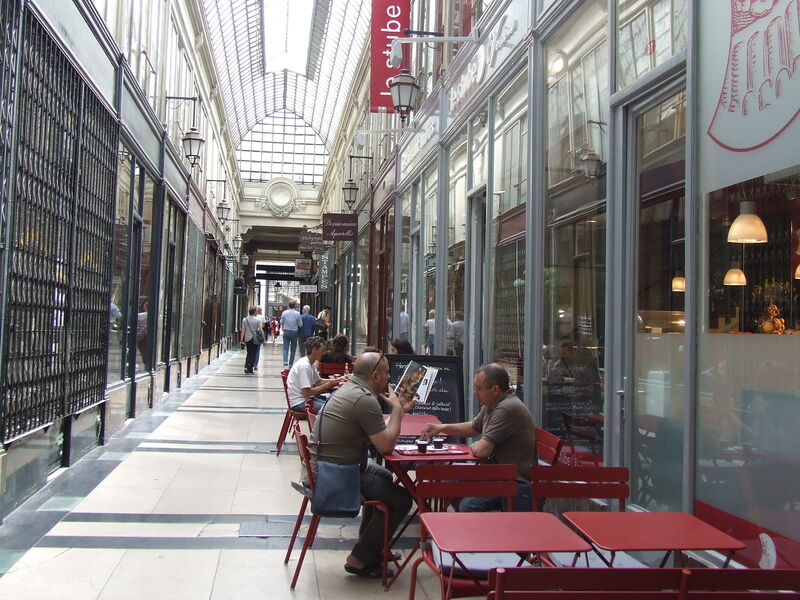 This is a great shopping area. 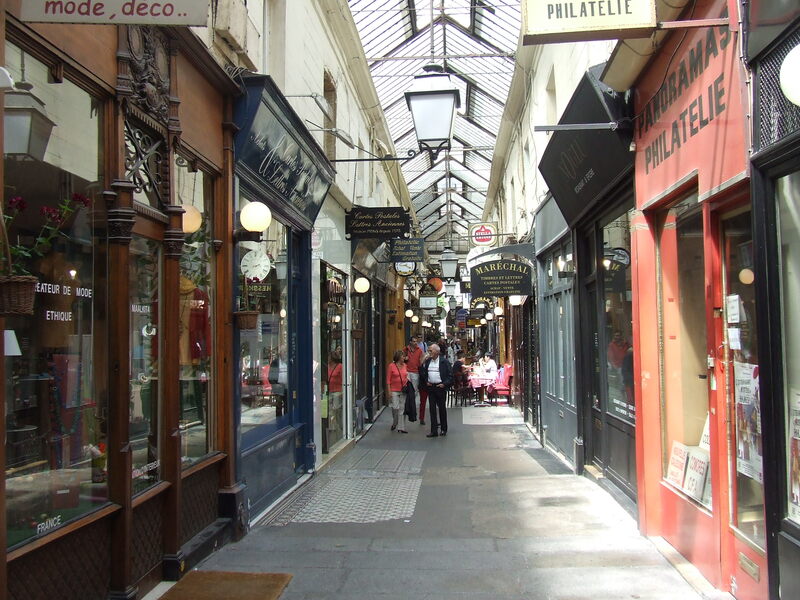 Inside this passage and outside on the rue des Petits Champs heading towards the Place des Victoires are dozens of small clothing boutiques. 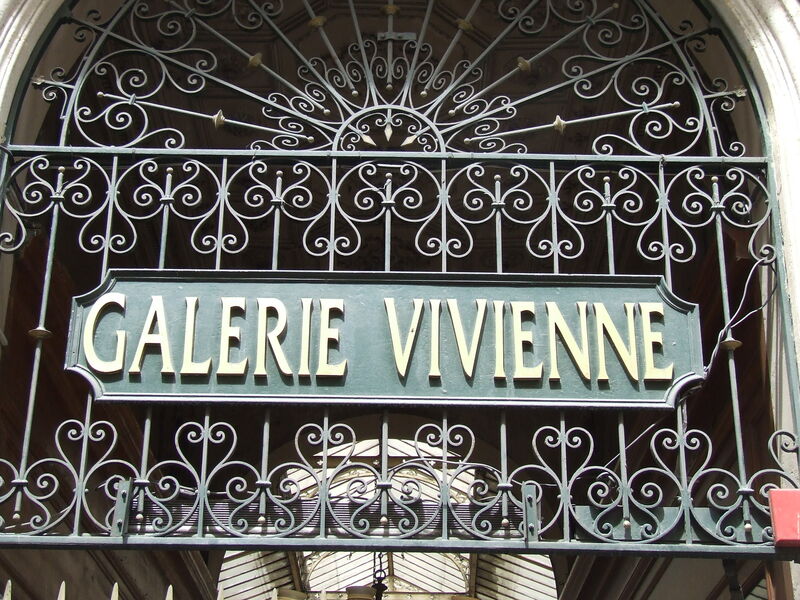 There’s a shop inside the Galerie Vivienne called Nathalie Garçon which sells original one-off pieces. Directly across from it is another shop that sells exquisite scarves. Further up is a second-hand clothing shop called La Marelle where I’ve bought and sold many shoes, handbags, clothes and accessories over the years. You can pick up a gorgeous pair of Prada shoes, a Fendi handbag or items of clothing with Miu Miu, Hermès, YSL labels and other luxury brand names, depending on what’s in stock. 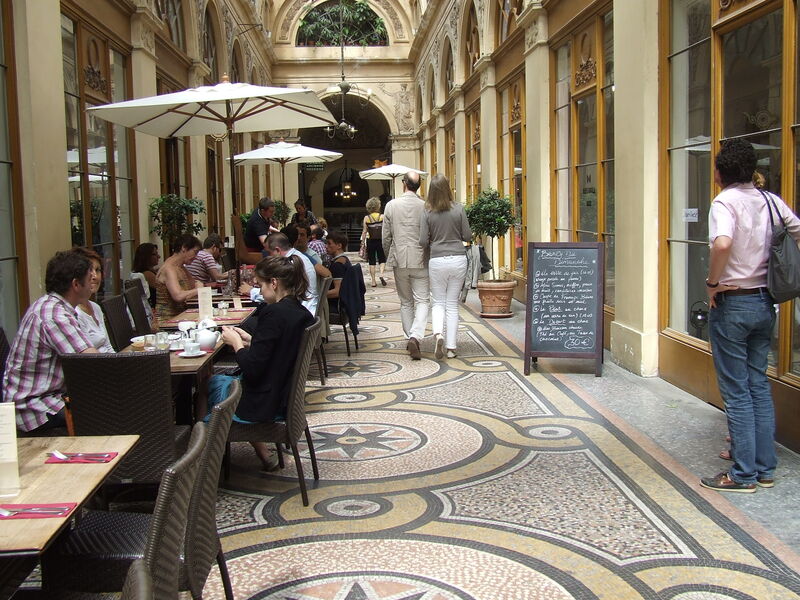 This lovely-looking restaurant (below) is overpriced and a bit precious. 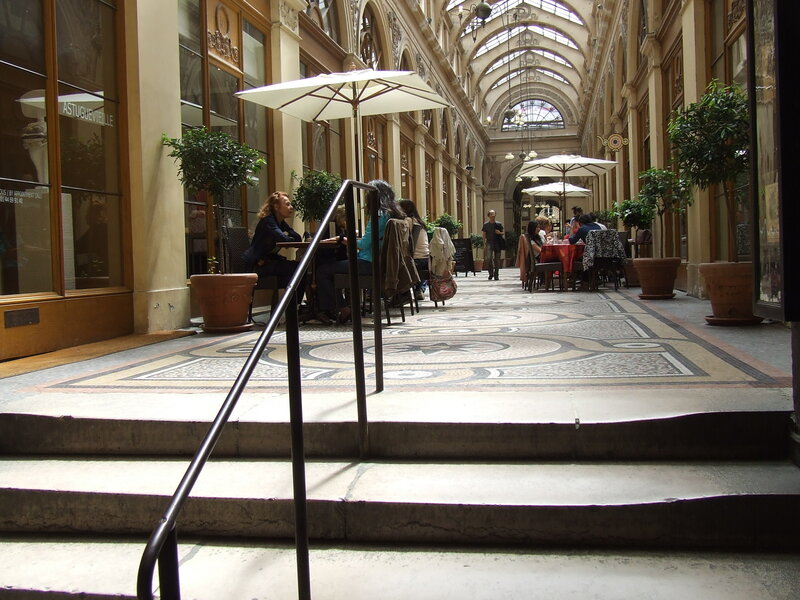 Instead, I recommend the Bistrot Vivienne at number 4 rue des Petits-Champs, just at the entrance of the Galerie Vivienne. It’s much more down to earth and serves delicious, hearty meals and good carafes of wine. Remember the movie, Something’s Gotta Give, with Jack Nicholson and Diane Keaton? 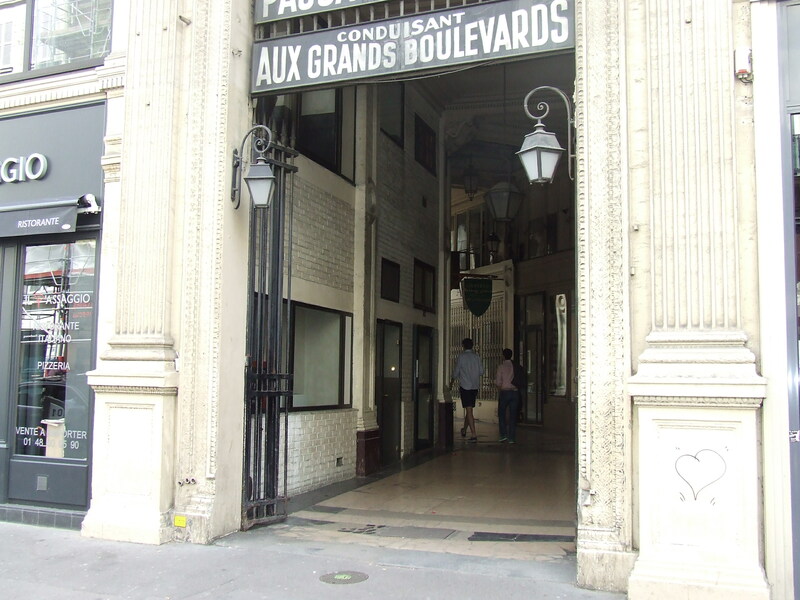 The Parisian brasserie where they and Keanu Reeves ate at is Le Grand Colbert, located just around the corner at number 2 rue Vivienne.